If you're wondering if Silhouette Studio is compatible with Cricut...the answer is yes! Silhouette Studio is a much more robust design software than Cricut Design Space and that, along with not needing Wifi to use the software, has a lot of Cricut users swapping software programs. With the ability for Silhouette Studio to export as SVG, Cricut users can do all of the designing in Silhouette Studio and then cut on their Cricut Maker or Cricut Explore Air 2. Silhouette Studio is free for anyone to download. You don't even need a Silhouette machine to download the free Silhouette software. To download go to the Silhouette America website. 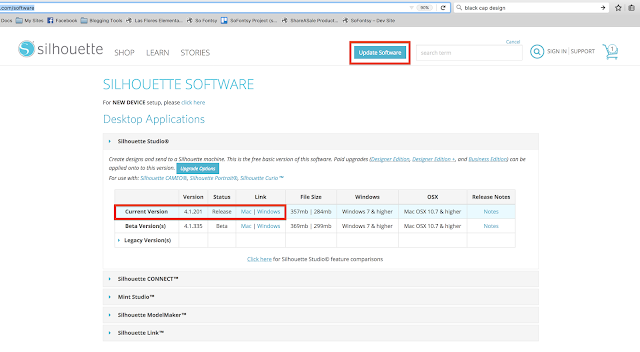 Select the PC or MAC version of the software to download and then follow the steps to install the software on your computer. Remember, unlike Cricut Design Space, Silhouette Studio does not require Wifi to use so once it's downloaded on your computer you do not need to be connected to the Internet to use the Silhouette software. The free Silhouette Studio basic software is very powerful and includes a lot of design tools and functionality. The biggest thing the basic Silhouette software lacks for Cricut users, is the ability to export as anything other .studio3 file. The .Studio file type is only useful within Silhouette Studio and of course a Cricut Maker or Cricut Explore isn't compatible for cutting from Silhouette Studio. That means after you do all your designing in Silhouette Studio you'll need to export a file type - such as an SVG - that can then be opened in Cricut Design Space and cut with a Cricut machine. Fortunately with just a one time paid software upgrade of about $60, you can unlock additional features with Silhouette Studio Business Edition. Among those software upgrade features is the ability to Save As an SVG (and JPEG, PDF, and PNG) from Silhouette Studio. The ability to export SVGs easily makes Silhouette Studio compatible with Cricut! 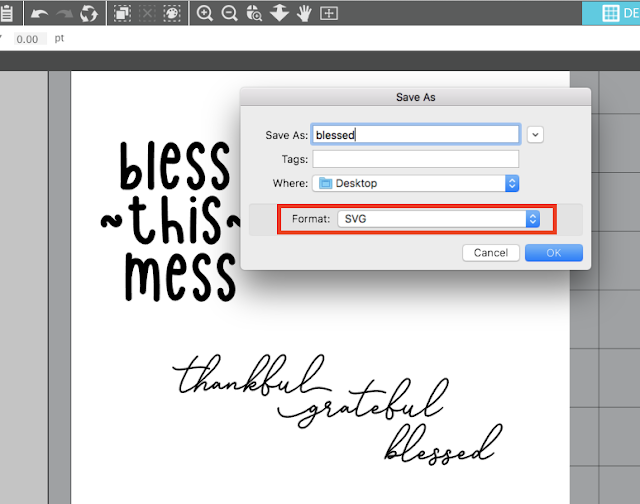 Exporting or saving designs from Silhouette Studio as SVG is as easy as File > Save As > Save to Hard Drive > (File type) SVG. 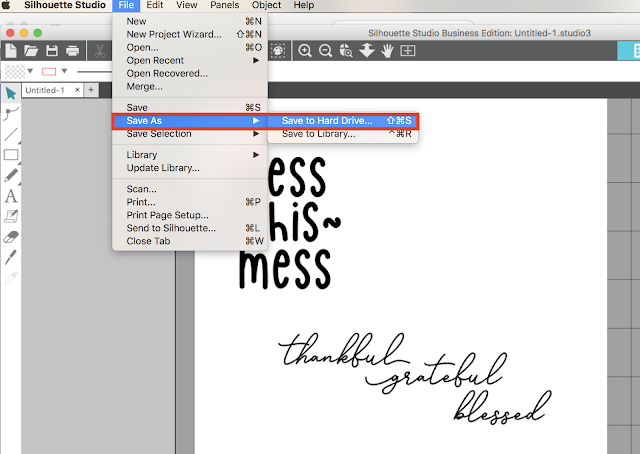 Then head over to Cricut Design Space and open the SVG. 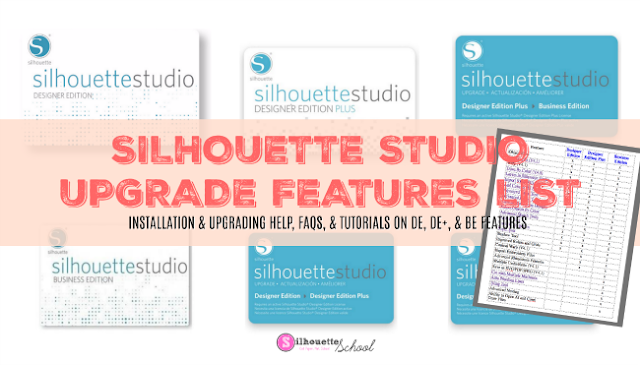 How to Learn Silhouette Studio for Beginners...Fast! 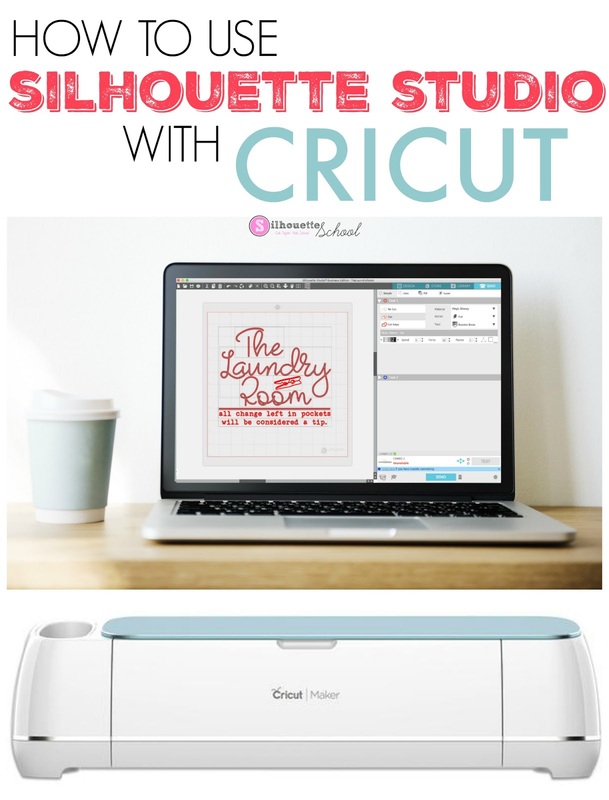 Now that you know how to make Silhouette Studio compatible with Cricut you'll need to learn how to use Silhouette Studio. 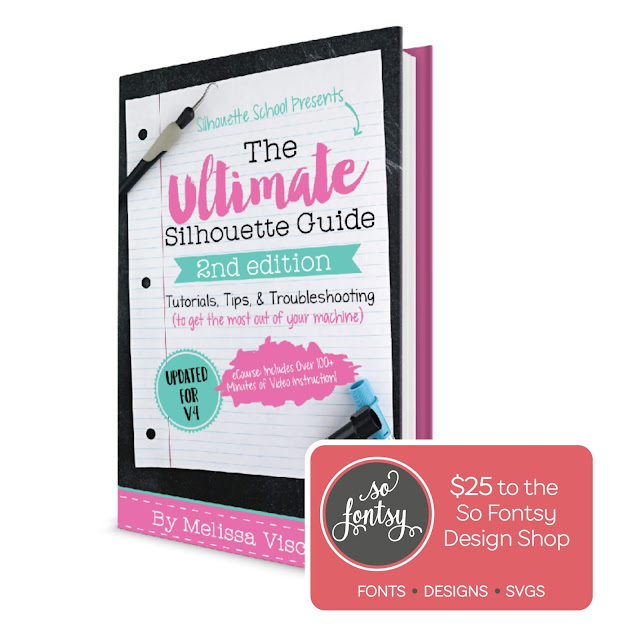 The Ultimate Silhouette Guide Second Edition for V4 (the current software) is the #1 resource with almost 200 digital pages and more than 100 minutes of Silhouette video tutorials.